A 24-year-old woman who police said passed a flashing school bus stop sign, hitting and killing three siblings is facing charges. 'When the children's father had to make identification of his children, that was just gut-wrenching. School Bus & Shepherd's Vehicle. All three were students at Mentone Elementary School. And now the uncle of those children is speaking out, saying the family previously told the school their bus pickup location is unsafe. Another student unrelated to them was also struck and airlifted to Parkview Hospital in Fort Wayne with multiple broken bones and internal injuries, police said. ABC 57 investigated Shepherd's past and learned that she had been employed as the Children's Director at the Faith Outreach Center in Rochester, Indiana. "I just can't imagine that pain", Slocum told the station. Locals say that people frequently drive over the limit along the rural road in that area. The bus driver has been named as Robert Reid. Police say he was conscious at the hospital and is not related to the other children who were hit. Xzavier Ingle, his twin brother, Mason Ingle, both 6, and their sister, Alivia Stahl, 9, all died at the scene from injuries sustained in the crash. "The investigation has shown that a school bus from the Tippecanoe Valley School Corporation was traveling northbound and stopped, put the stop arm out and had all the emergency lighting that is on the bus activated". 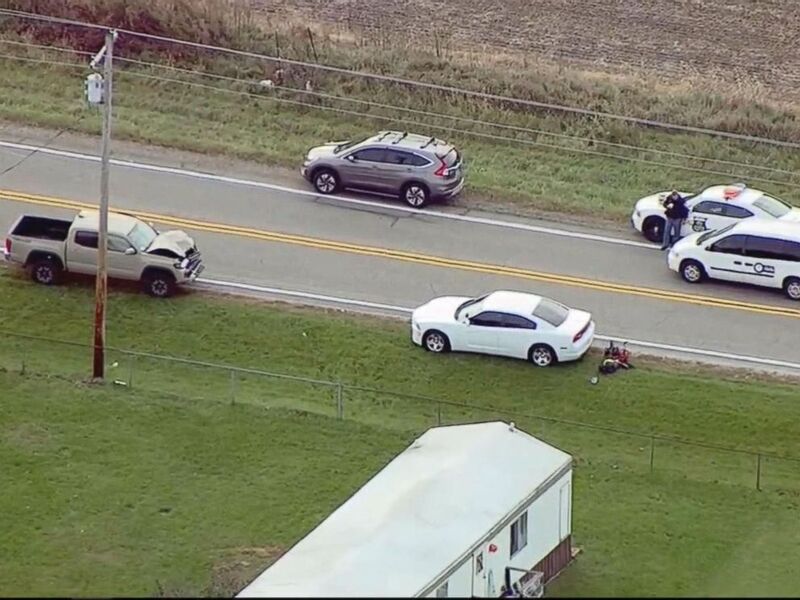 Tony Slocum says the siblings and an 11-year-old boy were struck about 7 a.m. Tuesday, before sunrise, as they were crossing a two-lane road near Rochester to board a Tippecanoe Valley School Corp. bus. Indiana Governor Eric J. Holcomb released a statement Tuesday afternoon. Those tears were felt throughout the community. We have said this before. "This has been a very hard day for our school family as we attempt to cope with the devastating loss of three elementary students and a critically injured middle school student".